MELVILLE, NY, February 13, 2019 – Responding to the demand from amateur and advanced amateur photographers for an entry-level, full-frame mirrorless camera, Canon U.S.A. Inc., a leader in digital imaging solutions, today announced the second camera in the EOS R lineup, the EOS RP. The EOS RP is designed for photographers looking to step up from Canon’s APS-C cameras: the EOS Rebel, EOS M and the EOS 80D, into the world of full-frame mirrorless photography. Weighing in at just 17.29 ounces, the EOS RP camera is lighter than a 500ml bottle of water and smaller than Canon’s popular APS-C DSLR camera, the Canon EOS Rebel T7i, coming in at approximately 5.0in (w) x 3.77in (h) x 2.36in (d). With optics at its core, the EOS RP takes full advantage of the complete line up of RF lenses and is compatible with the existing collection of Canon’s EF and EF-S lenses with the use of one of three optional RF EOS-R Mount Adaptersi. The new Canon EOS RP full-frame mirrorless camera features a 26.2 megapixel CMOS sensor that is powered by the company’s DIGIC 8 image processor, providing users with high-image quality, outstanding operation and functionality. 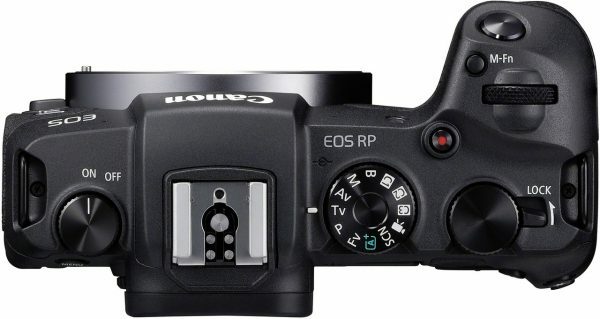 The new Canon EOS RP features Dual Pixel CMOS Auto Focus (AF) with 4,779 manually selectable AF pointsii and a wide AF coverage area of 88 percent horizontal and 100 percent vertical. With f/1.2 lenses, the camera astonishingly boasts AF sensitivity in low light in as little as Exposure Value (EV) -5. When using the RF 24-105mm F4 L IS USM lens with the EOS RP, the camera can focus in as little as 0.05 seconds with Dual Pixel CMOS AFiii. When using eye detection AF, the camera can automatically detect faces and focus on the eye of the subject. This feature is supported when the camera is set in either servo AF mode during continuous shooting and movie servo AF, as well as one-shot AF. Like the EOS R full-frame mirrorless camera that was announced in September 2018, the EOS RP is built around the same 54mm mount diameter and short-back focus. This allows for the use of one of three optional mount adapters for full compatibility with all existing EF, EF-S, TS-E and MP-E lenses. Through the use of the optional Drop-In Filter Mount Adapter or Control Ring Mount Adapter, these lenses, in fact, gain functionality. For photographers looking to further expand their abilities and capture a wide variety of both still and video images, the EOS RP features Visual Guide mode. First introduced with the EOS Rebel T7i and EOS 77D, this mode allows users to see on screen how switching modes on the mode dial or tweaking settings can alter the image they are about to capture. This mode helps to guide photographers to capture more compelling images, such as ones with a shallow depth-of-field or being able to give moving subjects a frozen or flowing look. For those looking to expand their imaginative options, the camera also features Creative Assist mode that allows photographers to use new and unique visual effects and adjustments when shooting, such as brightness, contrast, saturation, color tone, monochrome and background blur. In addition, the design, ergonomics, layout and ease-of-use of the camera are very similar to that of other Canon cameras consumers might already be familiar with. To learn more about the EOS R system, including in-depth educational tutorials, please visit www.usa.canon.com.